During the centuries following the establishment of rice in Spain, the peasants of Valencia would use the paella pan to cook rice with easily available ingredients from the countryside: tomatoes, onions and snails. On special occasions rabbit or duck might be included, and the better-off could afford chicken. Little by little this 'Valencian rice' became more widely known. 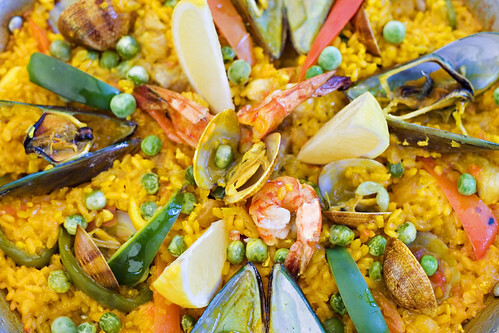 By the end of the nineteenth century 'paella valenciana' had established itself. Served at Hola Espana in Cebu City. Shot for Zee Lifestyle Cebu Magazine.